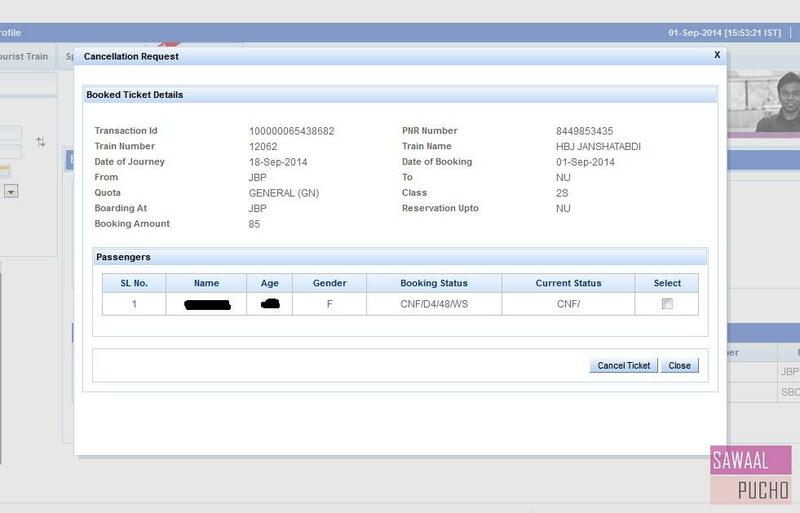 Train Tickets booked through IRCTC can be cancelled via internet by logging on to its its official website, provided the final chart is not prepared. Cancellation of train ticket is not allowed at the Railway counters, you can cancel it only via internet through IRCTC site. 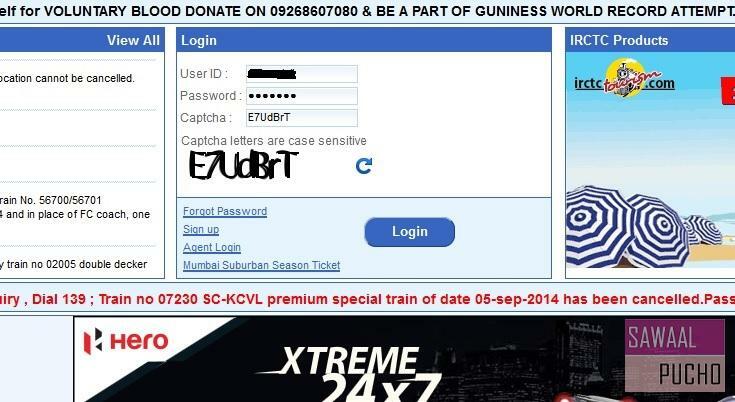 Follow the steps to understand How to Cancel Ticket through IRCTC. Step 1: First you need to Login to the official website of IRCTC (irctc.co.in) to cancel ticket. Step 2: You will find the login page where you have to enter your User Id, Password along with the Captcha information shown below the captcha field. 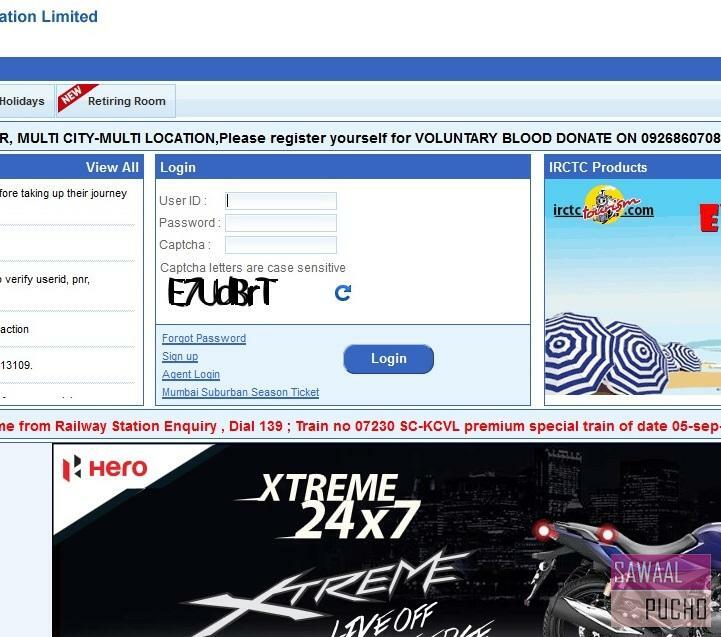 Step 3: You will be automatically redirected to the home page of the IRCTC website. There is a option of “Cancel Ticket” in the middle of the screen click on it. Step 4: After selecting “Cancel Ticket”, you will find the list of All the Tickets which you have already booked. Step 5: Select the Ticket you want to cancel and click on “cancel ticket” . 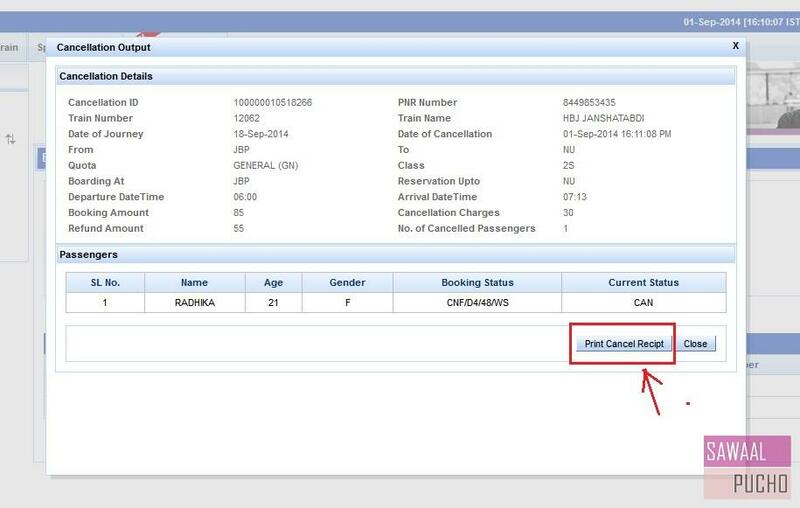 Step 6: The details of your booked ticket will be displayed in the window. After verifying the details click on “Cancel Button”. Step 7: After clicking on the cancel button, there will be a message saying “Do you Want to Process the Cancellation Request ?“. Click OK that is the final step to cancel ticket. Step 8: The ticket which you booked is now cancelled. If you want to take the print out of the ticket, Click on “Print Cancel Receipt”. 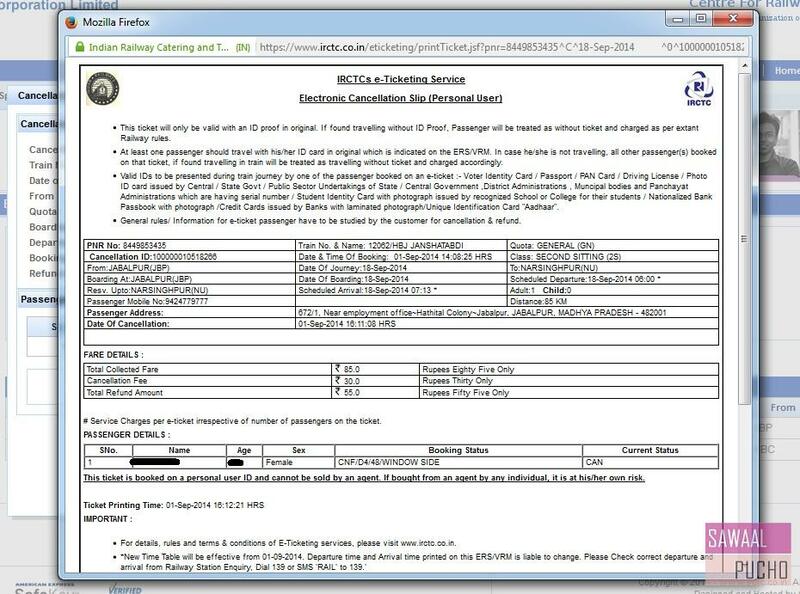 Step 9: The printout of the cancelled ticket will be displayed on the window.